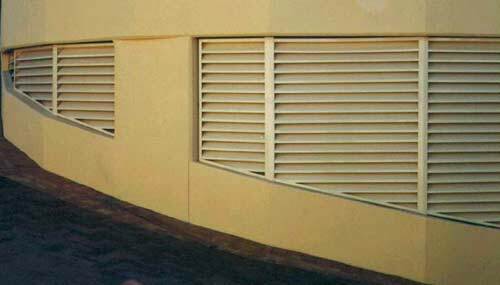 Typically these ventilation louvres are used for garage or below ground areas where a ventilation system is needed. 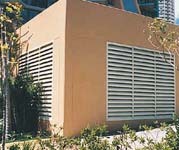 Pirie Enterprises began constructing louvres as an adjunct to the hi-rise garage door business market which boomed on the Gold Coast in the 1970's. 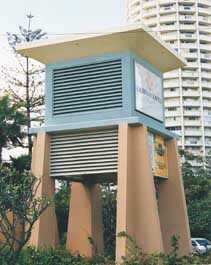 Now it is like second nature to us and Aluminium fabrication is now a major part of our business! 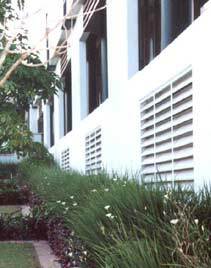 Louvres are much more "out in the open" now and are often used as features for buildings and hi-rise. 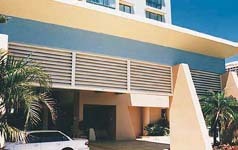 See also our Louvre gates and Louvre panel doors .We will construct any sort of Aluminium Louvre to you or your Architect's design.